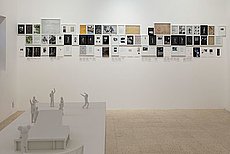 Participants: Caram Kapp, Cristina Lucas, Daniel Aguilar Ruvalcaba, Don Karl, Heba Amin, Jill Magid, Levi Orta, Lawrence Abu Hamdan, Núria Güell, Omar Mismar, Pilvi Takala, Razan Mubaideen, Tanja Ostojić, The Yes Men, Voina. This exhibition seeks to examine artistic practices from different geopolitical contexts that focus on intervention as method, one that has become a reflection of various practices of governance, from direct confrontation to more subtle processes that specialize in the art/science of playing innocent. In and of itself, the political genealogy of the term “intervention” cannot be divorced from the evolution of political tactics adopted by states, which often attempt to assert control under the guise of benevolence, or cloak exploitative subjugation in the rhetoric of necessary, level-headed arbitration, or hide behind other lazy stretches of the imagination. In this way, the project deals with the notion of innocence in all of its connotations, but namely understands it to be a label for non-transgression. The kind of fieldwork or covert interventions it envisions — which may or may not involve a certain degree of personal risk for the artists involved — will work to follow the rules of the game, so to speak, and remain undetected as breaches, until a second reading occurs in the formalization of each work as a document within the jurisdiction of the exhibition space. Far from compromising the work itself, it is precisely in the act of covering one’s tracks and/or back, using the same legal strategies and power dynamics of the framework they pretend to transgress, that these works can become all the more revealing. Many of these works create a situation, carefully crafted for and adapted to each set-up, in which acknowledging the rules in question is in direct contradiction with conforming to them. Perhaps it is better to say that these works induce, in reference to Michel Serres’ notion of the parasite, a position that prompts actions or decisions between actors within a system, thereby disclosing its limits and, as such, carving out a space for political agency. Playing Innocent is an invitation to look at certain artistic practices as operations that understand that the information in their voices is parasitic, and consciously use it that way. To ensure hospitality instead of hostility, camouflage strategies are sometimes necessary: artists may change skin into tourists, priests, police officers, corporate representatives, school teachers, soldiers, candidates, escorts, average citizens and trainees in order to infiltrate the military, national TV broadcasts, international corporations, border control offices, surveillance systems, censorship apparatuses, banks and art biennales. The constellation of active power structures summoned by these artists champions Serre’s premise that all human systems are vulnerable to parasitic action. 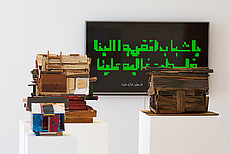 This group show was originally conceived at the beginning of the second decade of the 21st century and, with the exception of a few more recent works included afterward, most of the artworks were produced between 2007 and 2014 — the same period that witnessed the 15-M, the Occupy movements and the Arab Spring, a moment when one could more clearly envisage a semblance of change. And although these works coincided with that wave of resistance, and of noise, they respond to another tradition of subversion and follow a different rhythm, a more subtle long-term cadence. As such, even if worldwide economic and political crises have significantly blurred the relations operating within the system and the noise has exponentially increased, making it harder to translate it into information, most of these artists — as well as countless others outside the realm of this project — have since continued with this line of action. But one can sense a different degree of sophistication and complexity demanded of the artist-parasite nowadays. Playing innocent has become a more challenging affair, but it remains a strategic front, one that can perhaps help us navigate until the next wave of hope arises. Playing Innocent is curated by Alejandra Labastida, Associate Curator at MUAC (Museo Universitario de Arte Contempráneo) Mexico, in collaboration with Noura Salem, Deputy Director of MMAG Foundation. 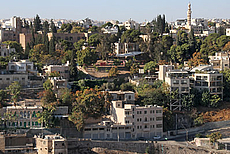 Overlooking downtown Amman, the MMAG Foundation brings together artists, curators and educators from Jordan and beyond. 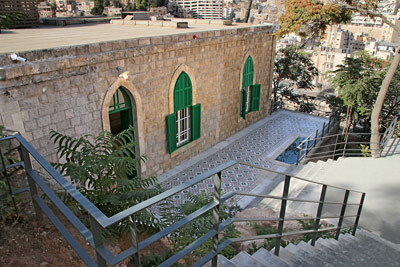 MMAG is home to galleries, workshops, studios and residency spaces, as well as the Central Amman Library, and is currently developing a postgraduate arts program.